Folks can meet author Will Michaels, be the first to get a copy of Hidden History of St. Petersburg and witness Babe Ruth’s great-grandson Brent Stevens donate a signed baseball from his family to the “Schrader’s Little Cooperstown” exhibition. The Friday event, set at the St. Petersburg Museum of History at 2 p.m., will see fans gather to discuss Babe Ruth’s longest home run, the magical promotion of Doc Webb, the myth of Al Capone’s stay in the Sunshine City and more as Michaels promote his new book. Hidden History of St. Petersburg chronicles multiple chapters about Babe Ruth’s adventures in St. Petersburg during spring training in the 1920s and 1930s. It’s documented that Ruth crushed a home run more than 600 feet at the site of the current Al Lang Stadium — baseball’s longest hit ever. Stevens is also scheduled to throw out the first pitch at Friday night’s 7:10 Rays-Yankees game at Tropicana Field. His autographed ball will add to the museum’s “Schrader’s Little Cooperstown” collection, featuring nearly 5,000 autographed baseballs, the most of any baseball collection in the world. 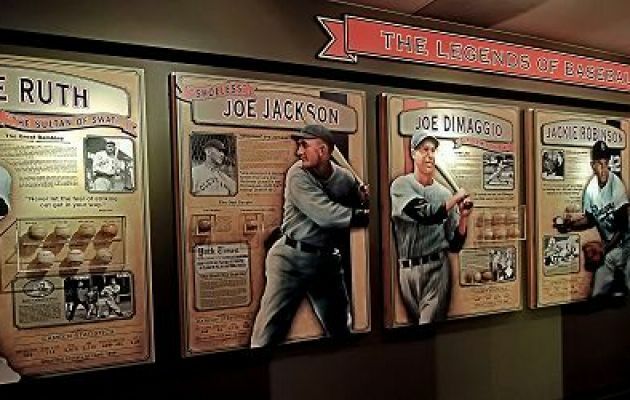 Schrader’s Little Cooperstown is a world-class baseball exhibit made up of more than 4,800 baseballs, documents, story boards and video screens – connects America’s national pastime with historical events from the region and around the world. Author & Historian Will Michaels is the past director of the St. Petersburg Museum of History and president of St. Petersburg Preservation. Michaels also authored The Making of St. Petersburg. Have a fun filled day at the St. Petersburg Museum of History, located on the approach to the Pier in downtown St. Petersburg. Enjoy breathtaking views of the marina and downtown St. Petersburg where people also enjoy fishing, dining, shopping, and events.